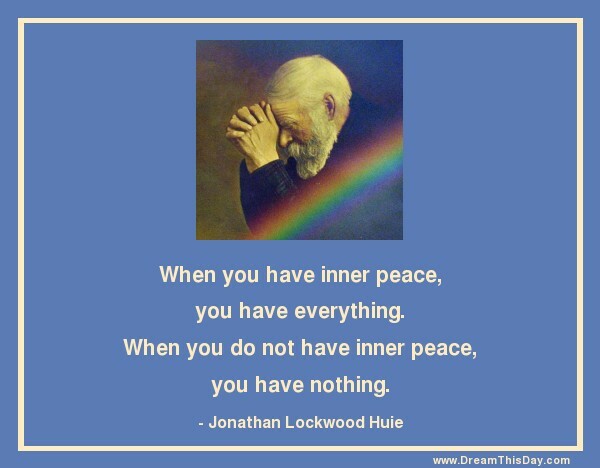 When you have inner peace, you have everything. When you do not have inner peace, you have nothing. it is the presence of peace. May you be blessed with inner peace now and always.